Is this bus a 2.55m wide vehicle, as opposed to the usual 2.5m buses. Thanks to BrisBusBoy for posting his picture of the Mercedes Citaro. I had a ride on it today and found it quite impressive and took a few photos. Mercedes Citaro back seat the box like enclosure takes up the space of 2 seats leaving room for only 3 seats across the back. That's a really nice looking vehicle. From your interior shot it seems to be a full low-floor bus, until the back row. Also, what are the seats like, there doesn't seem to be too much padding on them from looking at the photos? The seats were comfortable for a 30 minutes ride. More details about this bus are in the article in the March ABC magazine p38. The glass will be interesting to replace. Looks like another overly fancy European product engineered primarily to keep the customer tied to buying their inflated parts. Besides, what is the point of trialling a bus we will never have.? Another attention getting stunt from our insular bus building industry. Not sure how the trial of a bus built overseas would be a stunt from "our" bus building industry? busrider wrote: Not sure how the trial of a bus built overseas would be a stunt from "our" bus building industry? Volgren in Perth and Vic, Custom in Sydney, Bustech in QLD. Theoretically we (SA) should be branching out for cool looking, well built buses like this, not imported CB80s (OK, OK, I know they're only from Syd, but still...). Desperate grab to divert attention away from the ludicrously outstanding success of the Gold Coast light rail by showcasing how good a bus can get without it actually being attainable in our market. At the risk of getting off topic I must respond to Swifts remarks about the Mercedes Citaro. It is a successful bus overseas and there is no reason why it could n’t be here. With regard to his obvious bias to rail transport. Fortunately we have a strong bus industry and efficient bus operators, who are ready sometimes at very short notice, to provide transport when the rail system fails to run. That is on many weekends and other occasions in between. The Gold Coast tram is certainly successful but he was obviously not one of the business owners along the route sent to the wall by the disruption caused while it was being constructed. Buses are much more flexible and where they have replaced train lines that have closed down, rail buses serve more places, more people more efficiently. Passengers appreciate not being tossed around like a salad on their trips thanks, something that light rail provides. Last time I checked, steel rails don't develope divots easily that badly affect quality of the hard non compliant ride of so many so called modern buses along with the banging cash tray from the appalling body rattles. Not to mention the grabby brakes that drivers blame for their unprofessional looking driving which is not the only cause of 'salad' driving. Are we ever going to have a bus like the Citaro along with it's presumably superior ride experience to what we are dished out here? Why bring false hope? The Citaro is nothing new or revolutionary. 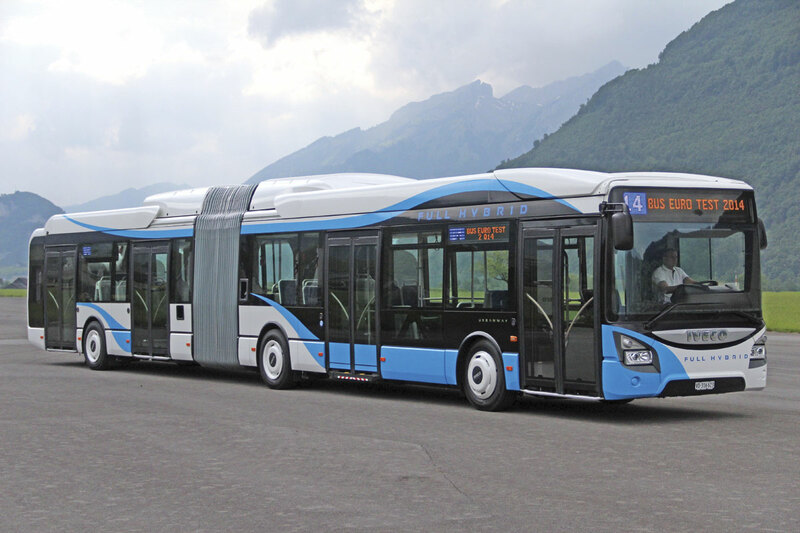 The 100% low floor citybus has been standard in Europe for over 20 years and a number of manufacturers produce them with variants offering 2, 3 or 4 doors, 4 to 5 door artics, trolleybuses etc. There's an example of an Iveco Citelis (artic) operating in Perth. But generally in Australia we're 20 years behind the times with our typical low entry (part high-floor) offering. We're lucky to have low entry at all the doors and have even gone backwards with the dreadful VST/XDi which has reverted to having a step at the centre door. European operators are very cost conscious and I haven't heard any issues about high maintenance with these buses. I've found they even ride more smoothly over rough roads than our citybuses here. We must specify truck suspensions here? The 100% low floor format has been adopted because it enables better circulation, reduces trip hazards and is very popular with passengers, as it is in trams from which it was adopted. I don't think trams are relevant to the discussion here because that's a capacity issue and buses aren't intended to match the capacity of a tram nor perform the same role. It can be noted however that, unlike here, the European bus industry has learnt from trams and achieves operational efficiencies that aren't found here, notably through all-door entry through multiple doors. (The typical 12 metre bus like the Citaro also has a third door behind the rear axle. They've simply sent a two door demonstrator out here because they wouldn't move the cooling package to the other side without an order to justify the cost.) This enables buses to share tram stops over there, something that couldn't be done here because of the long dwell times of our front door loading method. I fail to see why a European manufacturer couldn't simply narrow the body to 2.5 metres for an Australian order. Trams manufacturers routinely vary body widths and they are dealing with much smaller orders. All we need now is for Australian agencies/operators/manufacturers to get down to it and bring our buses up to the modern times with 100% low floor buses like the Citelis. Szeged Hungary make good use of second hand diesel Mercedes Citaro they turn them into trolleybuses. Last edited by Bedford-29 on Sun Apr 10, 2016 3:06 pm, edited 1 time in total. Bedford-29 wrote: Szeged Hungary make good use of second hand diesel Mercedes Citero they turn them into trolleybuses. That's most interesting - not too hard to do. An advantage of a trolleybus is that it gains those extra two seats at the rear lost to a mechanical cabinet on the diesel. MB is afaik almost the only manufacturer of low floor citybuses that doesn't supply a trolleybus model in its range. Just saw the video. They put Sydney's similar looking 0405NH CNGs to shame! Swift wrote: Just saw the video. They put Sydney's similar looking 0405NH CNGs to shame! But the Sydney bus isn't a low floor so they can't be compared. I think you can count the number of low floors in Australia on one hand - one in Sydney, one in Perth, a couple in Melbourne iirc. What have I missed? tonyp wrote: . I think you can count the number of low floors in Australia on one hand - one in Sydney, one in Perth, a couple in Melbourne iirc. What have I missed? The pair of ex Airport Express 0405s with Orana bodies based in Newcastle. I also believe BT's Orana bodied Volvos (that are being retired!) are true low floor. ^I think you are referring to the ex Sydney Buses prototype with CB80 body that could have been built as real FULLY low floor but was bodied as low entry instead. Last edited by Swift on Fri Mar 25, 2016 11:59 am, edited 1 time in total. Swift wrote: ^I thik you are referring to the ex Sydney Buses prototype that is designed to be low floor throughoutbut was bodied as a low entry bus anyway. Yep, that the one. Thanks for the info, I wouldn't ride it unless I absolutely had to, so I haven't ridden on it before. That was way back in 2004, only ten years after low floor became common in Europe, yet Action went back to low entry/high floor subsequently. A number of manufacturers/bodybuilders produce such buses. Question is when will the penny drop in Australia? Swift wrote: But ONE door?? That's a separate issue, just talking about low floor here. Possibly the Canberra ones are only used on lighter or long-distance, low turnover duties. The need for a greater number of doors would be related to the level of turnover (passenger exchange) along a route. Three or more doors on a low floor would be ideal for the city circulators in several Australian cities as well as high-turnover inner urban route services.